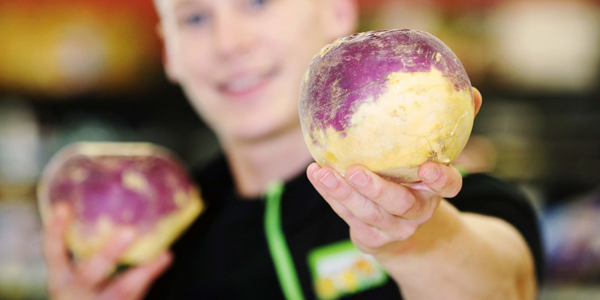 Asda, the British retailer has announced it is removing plastic wrapping on swedes sold in its stores, as part of its ‘Plastics Unwrapped’ programme to cut down on plastics. The ‘Plastics Unwrapped’ programme was launched in February and aims to remove avoidable plastic across various products at Asda. The retailer is confident that it will lead to a reduction of 14 tonnes’ worth of plastic. Asda’s plan is to reduce plastic packaging in own brand products by an initial 10% by February 2019 and make all packaging 100% recyclable by 2025. In a separate blog post, Nikki Dixon, Senior Manager for Plastic Reduction said that removal of plastic wrapping for fresh produce can’t be a blanket decision and adapted solutions need to be provided for various vegetables. “We’re currently scrutinising each and every piece of fruit and veg that we sell to see if we can do things differently — and where we can undress our fruit or veg, we’re committed to doing so,” she said. “It’s a delicate balance, as our tests show that removing the plastic wrapping from some fruit and vegetables can drastically reduce shelf life and actually increase food waste. The commitment to a more sustainable business could prove to be another asset to further Asda’s growth, and good news for new owner Sainsbury’s who is in the process of tying up its takeover of the business.